We are the leading manufacturer, exporter and importer of Safety Goggles. 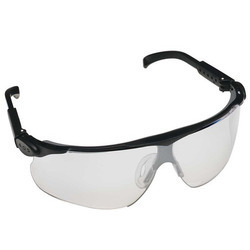 With our expertise and immense knowledge in the field, we are providing an extensive assortment of Safety Goggles. These are worn during welding to provide protection to the eyes. These goggles are easy to wear, have perfect fit, and resistant to chemical and heat. Our diligent personnel make use of best grade components and ultra-modern technology to design the product in accordance with the industrial norms. Also, the given product is available with us at a reasonable cost.